main news pages for all the latest updates. emerged on social media earlier on Tuesday. Joko Widodo's news conference was light on detail, and he did not mention any possible cause for the crash. He said he shared the feelings of relatives of those lost in the accident, and urged them to stay strong in the face of this "difficult moment". Joko Widodo ends his news conference without taking questions. Joko Widodo: Thanks countries around the region for helping with the search for the plane. Joko Widodo: Search and rescue operation will continue, and all teams must focus on finding passengers and crew. Indonesian President Joko Widodo begins news conference. tweets: On behalf of all Malaysians, I extend my deepest condolences to the families of those on Air Asia Indonesia QZ8501. We share your sorrow. Indonesian President Joko Widodo arrives for his news conference. posted the full statement on its Facebook page. Messages of support for the relatives and passengers of AirAsia flight have been posted inside Terminal Two at Singapore Changi Airport. "Our first priority now is the wellbeing of the family members of those onboard QZ8501," says AirAsia boss Tony Fernandes. The AirAsia statement continues: "At the present time, search and rescue operations are still in progress and further investigation of the debris found at the location is still under way." 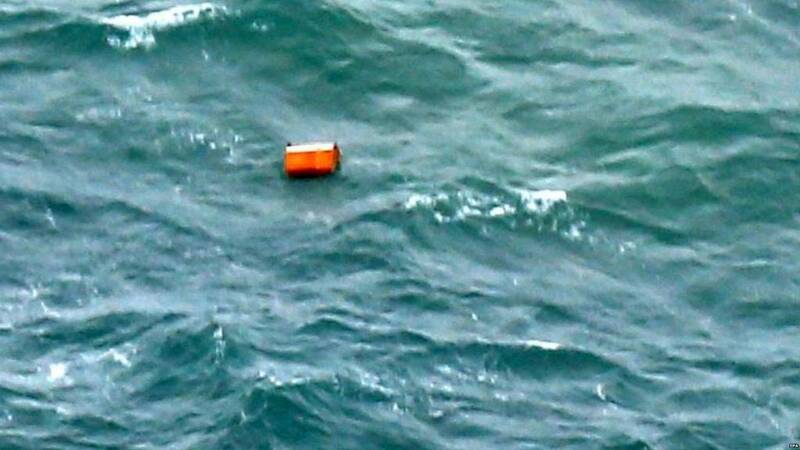 AirAsia says Indonesian rescuers have confirmed that the debris found earlier is from Flight QZ8501. A reminder that Indonesian President Joko Widodo is expected to hold a news conference within the next 30 minutes. Erik van Sebille, an oceanographer at the University of New South Wales in Sydney, tells AP that if conditions were perfect, the sea is shallow enough that searchers could probably spot any large debris using only their eyesight: "It's a much different environment than the open ocean." Rescue teams scouring the waters of the Java Sea say the area's shallow waters will make recovery efforts much easier, reports the Associated Press news agency. Relatives waiting at Juanda International Airport in Indonesia screamed and wailed as local television networks showed pictures of what clearly was a human body floating in the water. Grown men put their hands on their faces while at least two people collapsed and were taken out of the room on stretchers. Millions of Indonesians have been showing solidarity with families and friends of those on board the AirAsia flight. says on Facebook that he is sending several vessels to the area where bodies and debris have been found. Desperate relatives pray together in Surabaya's airport, as news of the discovery of debris and bodies filters through. #QZ8501 continue to dominate Twitter in Indonesia, one of the world's largest social media markets. Twitter users are also expressing their condolences and support for family members of the AirAsia passengers. Reuters news agency also quoting Indonesian official Manahan Simorangkir saying 40 bodies have been recovered. tweets: Very difficult to hear the screaming and crying relatives. They've been waiting for a miracle, but had to watch the worst possible news. "Based on the navy radio, it has been reported that the warship Bung Tomo has retrieved 40 bodies and the number is growing," Indonesian navy spokesman Manahan Simorangkir told AFP. AFP news agency also reporting 40 bodies pulled from the sea. tweets: UPDATE: Indonesian warship Bun Tomo has retrieved 40 bodies, number is growing, says navy spokesman. tweets: We are saddened to hear the latest news of #QZ8501. We are working closely with @AirAsia on travel arrangements for the next-of-kin. says officials are still saying that they are 95% certain that they have found the plane. But the debris found and the sight of bodies in the water appears to be conclusive, he says. If you're just joining us, this is our live coverage of the search for missing airliner AsiaAir flight QZ8501. It went missing on Sunday on what should have been a short, routine flight from Indonesia to Singapore. Debris and what appear to be bodies have now been found in the Java sea, leading officials to confirm with almost certainty that the flight crashed into the Java sea. tweets: #QZ8501 & #AirAsia8501 the most useful hashtags for latest info on debris and bodies being sighted. But be warned there are graphic images. this image of search and rescue teams preparing to leave for Pangkalan Bun with equipment. Family members, some of whom have been waiting for news at the airport in Surabaya since Sunday, react after seeing images on local television of an unidentified body floating in the Java Sea. tweets: Some truly horrific photos of victims at #QZ8051 crash site now being broadcast on Indonesian TV. 6 victims confirmed found. A map was shown earlier at the press conference of which debris was spotted and where by search and rescue teams. tweets: I am rushing to Surabaya. Whatever we can do at Airasia we will be doing. tweets: We apologise for graphic images on our TV feed that were inadvertently shown from a live feed, taken directly from an Indonesian TV station. "This is shocking news to relatives who have been waiting here since Sunday. "Just a short time ago, one man we spoke to said he was still hopeful the objects seen did not come from the missing aircraft, because his son was on board and he was hoping for a miracle. " tweets: My heart is filled with sadness for all the families involved in QZ 8501. On behalf of AirAsia my condolences to all. Words cannot express how sorry I am. BBC teams at Juanda International airport in Surabaya have heard a woman or women crying and screaming from inside the relatives' crisis centre. This archive picture is of the missing plane. Officials say some of the debris seen is red and white, the colours of AirAsia. BBC teams at the airport in Surabaya saw one female relative collapse after seeing what looked like a dead body on television. Another woman was barely able to walk, they say. More pictures of unidentified debris seen off the coast of Pangkalan Bun during a search and rescue operation by the Indonesian Air Force. Search and rescue chief Bambang Sulistyo said at the press conference that at 12:50 local time Indonesian air force Hercules found a shadow underwater, believed to be in the shape of a plane. The Indonesia TV footage shows a rescue worker being winched down to the water to look at the body. Indonesian TV broadcasts footage taken from a search aircraft of a body floating in the water. Bambang Sulistyo says they are 95% sure the debris is from the missing plane. He added that all resources are now being sent to that area in order to recover and further identify the debris. Speaking at a televised press conference the head of Indonesia's search and rescue agency says at least 10 objects have been found that appear to be from AirAsia flight, including what is thought to be the emergency door and life jackets. Relatives waiting at Juanda International Airport in Surabaya react to news that debris may have been found. Indonesian media are reporting that bodies have been sighted in the water. First Lt Tri Wibowo told Kompas.com website that luggage and a life vest had also been seen. users on Twitter sharing it and tweeting messages of sympathy and support for victims of air crash disasters in 2014. Relatives have told BBC teams in Surabaya they are hoping the debris does not turn out to be the missing plane. Debris is "from AirAsia plane" says Indonesian civil aviation chief, according to AFP. Relatives of those on board the flight have had a miserable three days waiting for news. This woman was among those who have gathered daily at Juanda airport in Surabaya, where the plane took off on Sunday. reports of smoke coming from an island in the search zone. However other officials later would not say whether this was connected to the plane. Search and rescue officials in Jakarta are due to give a news briefing shortly on the objects and the search effort. Indonesian air force official Agus Dwi Putranto told AFP: "We spotted about 10 big objects and many more small white-coloured objects which we could not photograph." tweets: Very, very interested to see more debris photos from that site. As of yet, photos released don't look like obvious airplane parts. Earlier today the search area was expanded to 13 zones including on land. The debris spotted is about about 170 km (105 miles) south of the town of Pangkalan Bun on Indonesian Borneo. Local television in Indonesia is showing pictures of the items at sea which are being investigated by Indonesian authorities. Indonesia National Search and Rescue spokesman Yusuf Latif said a helicopter would sent to collect the debris. "This is the most significant finding, but we cannot confirm anything until the investigation is completed," the Associated Press quotes him as saying. Indonesian transportation ministry official says aircraft searching for the missing jet have seen "red and white coloured debris off Kalimantan coast", Borneo, according to Reuters. An AFP journalist took these pictures of debris from a search and rescue aircraft over the Java Sea. This is the same area where other items are being investigated by Indonesian authorities as possible objects from the missing AirAsia flight QZ8501. Welcome to our live coverage of the search for missing AirAsia flight QZ8501. On day three of the search, Indonesian officials say debris which could come from the plane has been spotted in floating on the sea in the search area.